Antonio "Bigfoot" Silva has a very large head. And punching it over and over isnât so healthy. Mark Hunt posted X-rays photos on Facebook of his broken left hand Sunday, two days after his epic draw with Silva at UFC Fight Night in Australia. The caption of the new pics reads: "The joys of being a modern gladiator. " You can visibly see pins and screws near the thumb. Doesn’t seem like that would feel too good. It’s hard not to love Hunt. Silva seemed to obliterate his left leg in the second round Friday night, causing Hunt to have to switch stances for parts of the second and third rounds. Maybe Hunt forgot about it afterward - or maybe he just has a much higher tolerance for pain than most other human beings - but it didn’t seem to bother him the rest of the way. 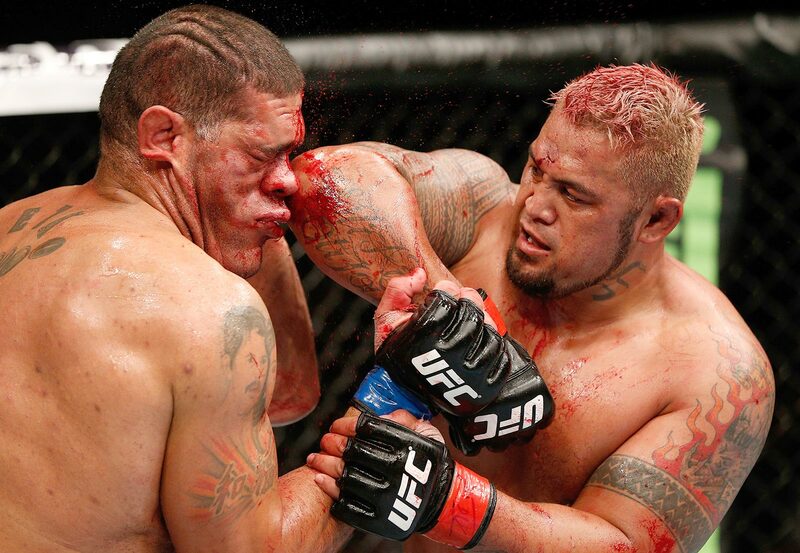 And that broken hand didn’t exactly stop Hunt from wailing on Silva’s massive chin. Two judges had the New Zealand native winning the fifth round 10-8. Whether or not you agree with that scoring, it came because Hunt was jacking Silva up with left hooks for five straight minutes. "Bigfoot" probably wasn’t feeling too hot either after the fight. All that matters is both guys heal up and we get to see this fight again sometime in 2014. Five more rounds, please.